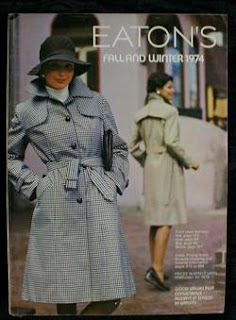 A catalogue from the 70's. 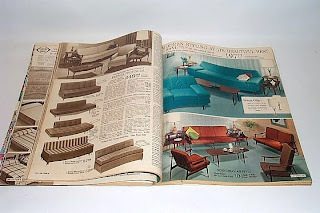 We had coffee tables very similar to those pictured. 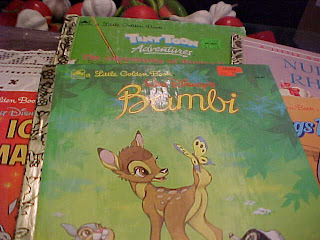 My sister owned this little golden book. 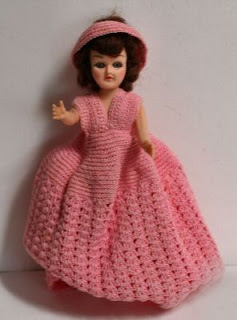 My aunt used to make doll like these with crochet dresses that would fit over a roll of toilet paper. Another cute salt & pepper Mom owned. This was one piece, the front was for salt and the back for pepper. Mom's was a light tan in colour but otherwise just like this. 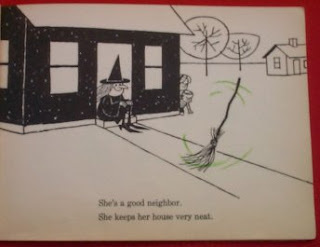 We never used it, of course, it was on the shelf with the other 300 sets in her collection. When I was small I always thought it would be neat to use a different set every day. 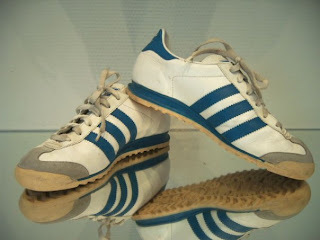 These sneakers were popular in the 80's and I had a pair. They were probably a hand-me-down from my older sister. 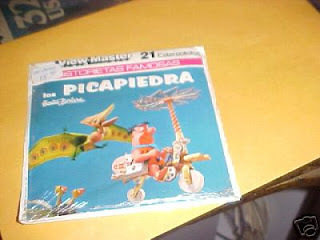 This photo is really hard to see but I got a card just like this one year for my birthday. A girl dressed in a frilly dress carrying a parasol. It was one of the prettiest cards I ever got. 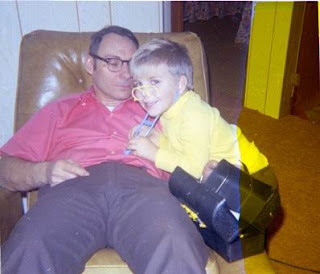 I'm not sure if it was me or my brother who owned these Flintstones view master reels. The only ones I could find on eBay were in another language but the pictures are the same. 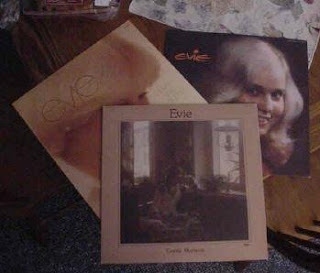 We had a couple of Evie records, she had a nice voice and sang contemporary Christian music. 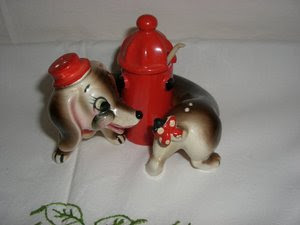 This was one of the cutest salt and pepper sets Mom had in her collection. A dog chasing his tail around a fire hydrant. 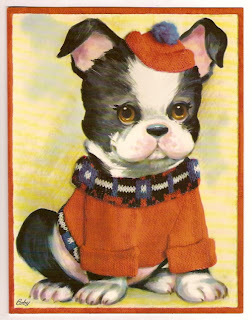 The front and back of the dog were 2 peices, for the salt and pepper, and the hydrant could hold a condiment like mustard. 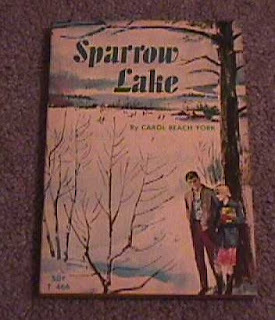 Another book from my sister's bookshelf. I am sure I read it but I do not remember the story. I vaguely remember having this perfume, I would have been in junior high school. 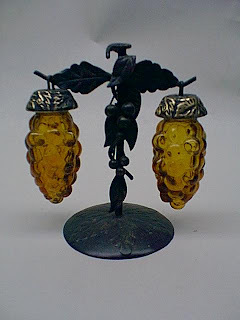 Another salt & pepper set from Mom's collection, hanging grapes. They were never used but I think they would look cute on the table. 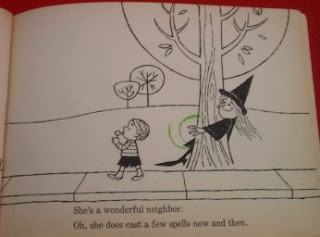 This is one of the strangest things I remember from my childhood. 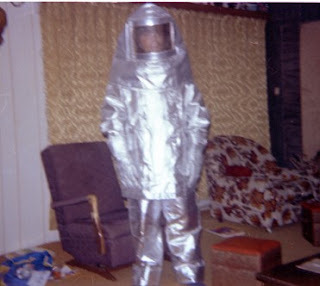 Dad was a fireman at the airport and he had one of these at home in the attic. 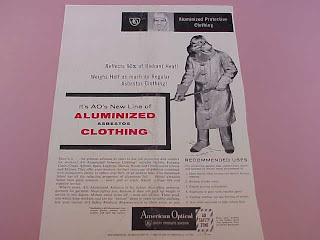 An asbestos suit. I suppose they used them at one point when fighting fires. 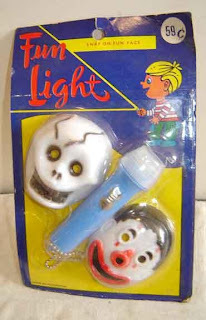 It was in a box and only taken out a few times, I remember my older brother wore it one year at Halloween. The suit was not for sale on ebay, just the ad and there was a link to this video about the suit. 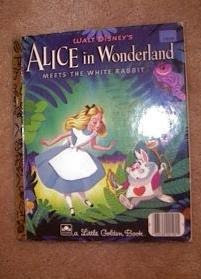 Strangely enough, when my house burned we found this in the rubble and it was mostly burned. Edited to add a photo I found of my younger brother wearing the suit. My aunt gave my brother a card like this one year for his birthday. It was about 4 times the size of a regular card. 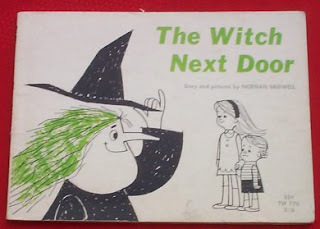 This was my sister's book. 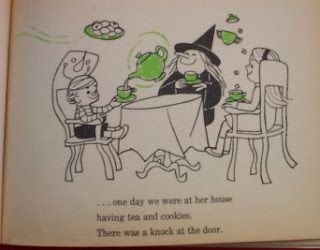 We had little forks and little spoons. 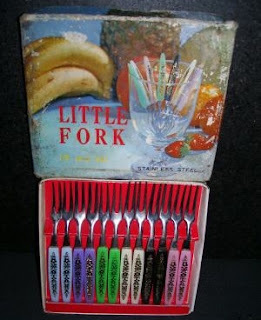 The little forks were used more often, for pickles, beets and stuf like that. 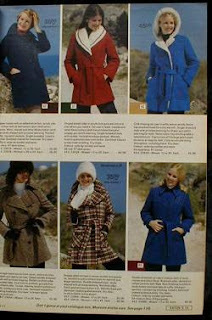 The fall and winter catalogue from 1974. 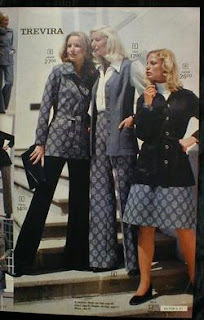 I was 8 years old and these were the fashions at the time. This science textbook looks very familiar, I must have used it in elementary school. 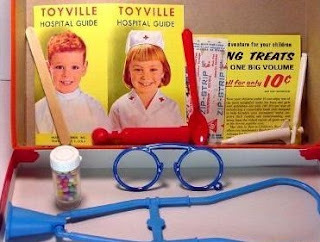 My brother had a doctor's kit like this one, as you can see in the photo. The colours were a bit different but the pieces were the same. One of the many bottles of Old Spice aftershave my father had.